History: “Kickapoo embraces the idea that each day offers a new chance to find joy in the world,” says Kickapoo Joy Juice parent company Monarch Beverage. Only the first line of the review and we’re already getting philosophical. Strap in. 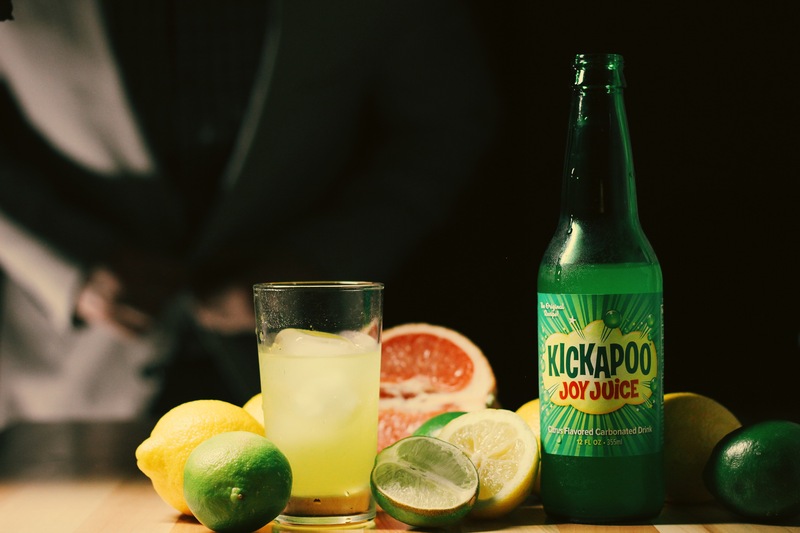 Kickapoo Joy Juice is one of the classics in the world of craft soda. It’s a citrus-flavored caffeine soft drink with a zing. They’re even nice enough to tell you the caffeine content on the bottle at 40 milligrams. Sound familiar? Comparatively, 12 ounces of Mountain Dew has 54 milligrams. The nutritional comparisons beyond that are virtually identical, so there’s a reason why Mountain Dew is the mainstream brand most closely associated with Kickapoo Joy Juice. 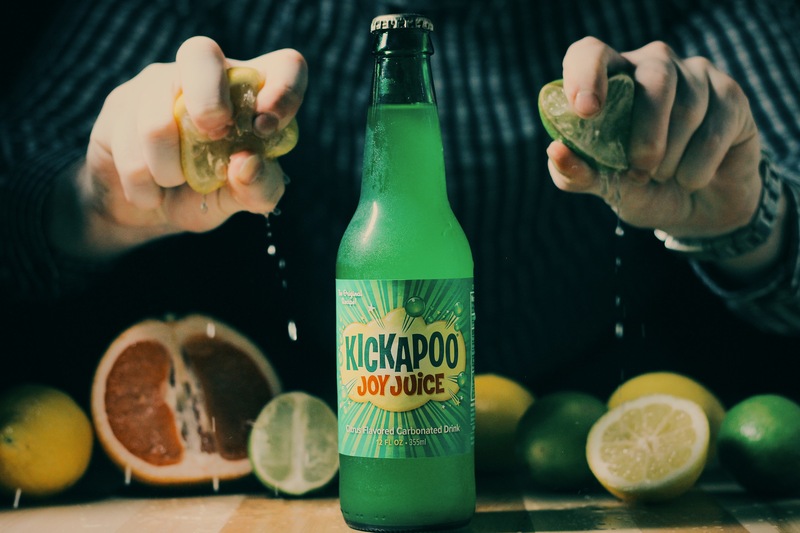 Despite its roots in bottled soda history, Kickapoo Joy Juice is one with which the newer generation of soda connoisseurs might not be familiar. The soda was originally introduced in 1965 by another craft soda company you probably have heard of called “NuGrape.” Monarch Beverage later purchased NuGrape and now runs all things Kickapoo Joy Juice. The soda is actually based on a comic strip called “Li’l Abner” by Al Capp that ran in U.S. newspapers from 1934-1977. The reason you may be unfamiliar with it is due to the fact that its popularity has waned in the past decade or so. It was more popular, believe it or not, in Bangladesh and other East Asian countries. You gotta keep that caffeine running through your veins over there to outrun the tigers. The name, as you might’ve guessed, is about fun. Along the same lines, Monarch Beverage has introduced multiple new fruity flavors in addition to the classic citrus to jazz up the brand’s image and reintroduce it to a new generation. The company goes on to say, “Kickapoo drinkers have a little swagger, dance like no one is watching and take pride in their self-expression.” I’m pretty sure the same thing could be said for my girlfriend after a couple Bud Light Limes. But I assure you, there’s no alcohol in this. I’ll let you know if I end up dancing by the end of the bottle. Where to get: You can purchase Kickapoo Joy Juice online from Summit City Soda or in single bottles from Soda Emporium. It’s also sold physically at many Kum & Go gas stations. Nose: Mild grapefruit; general citrus; lime. This smells like a milder version of Surge with some added Grapefruit. Maybe a better way of putting it is a lighter, more natural Mountain Dew. I don’t smell any potent chemicals here with my virgin nose. Taste: Cane sugar; lemon; lime. This is definitely its own brand of citrus soda. Its flavors are light. There’s no tart bite from the citric acid. General citrus enters the mouth first. I think more than anything the cane sugar makes itself noticeable along with light, frothy carbonation. The sugar is nice and compliments the citrus well. As you drink Kickapoo Joy Juice, you taste grapefruit as well as classic lemon-lime. Lime may be the most prominent of the three flavors in the citrus profile, but not by much. No, this doesn’t taste like Mountain Dew, Mellow Yellow, Surge or anything else. Again, it’s less intense and more refreshing with a little more lime and grapefruit, and less of a bite. Finish: The sugar and lime interact in a strange way at the end of each sip. It’s sweet, but a little funky. I’m not sure how I feel about this. Definitely not like the beginning of each drink. Rating: Kickapoo Joy Juice is one of the classics in the world of craft soda. There’s no doubt its staying power is linked to its drinkability. This is a citrus soda that took a different path than the mainstream brands with their emphasis on acidity. I applaud the choice. Case in point: look at those dudes who a drink two-liter of Mountain Dew a day. Not only do a lot of them still live in their mom’s basement, but they’re also missing the enamel on their teeth. Kickapoo Joy Juice’s citrus profile is more of a lighter, refreshing citrus than a harsh one. This isn’t tart. It’s light, but the citrus flavor is still there. You could drink multiple bottles of this in one setting. My only complaint is that I wish the individual flavors were a little more distinguishable. I taste mild grapefruit, lemon, and lime. The lime is strongest and I believe best, but I’d like to see a little more action on that front. 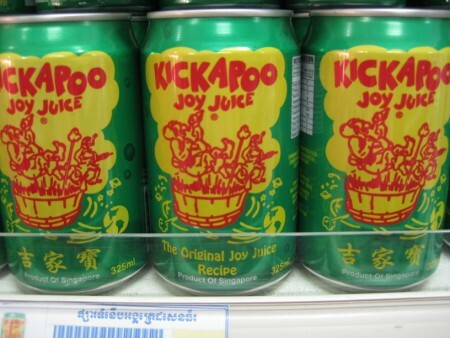 Still, Kickapoo Joy Juice succeeds in its simplicity and originality. This is a quality citrus soda. With origins dating all the way back to 1934, this is a brand that continues to build on its legacy. If you like to get down with the classics, drink in the history and taste the joy.